I like being active. It isn't only good for the body. I find that it refreshes and calms my mind. I like outdoor workouts whenever possible and I also enjoy doing home work outs. 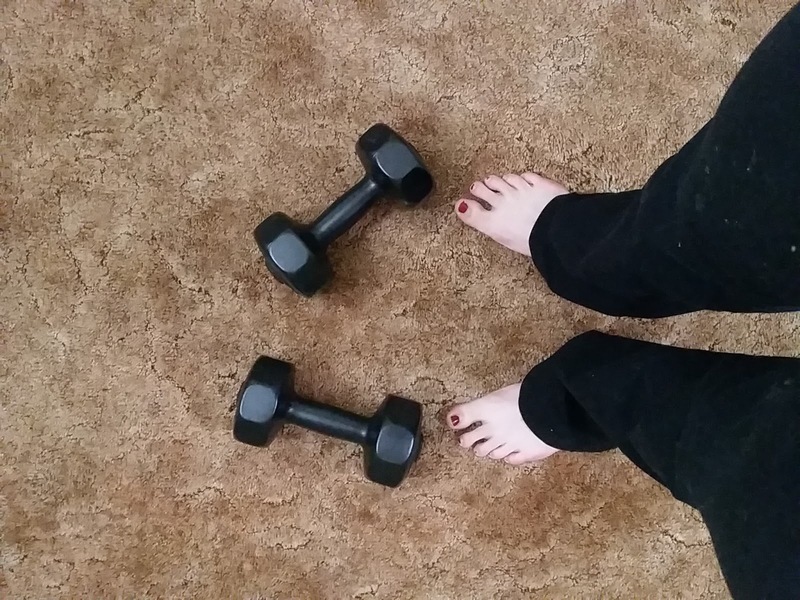 I have been trying my best to get active lately, but I haven't been getting as much exercise as I should. I have decided to combat my lower activity level with a challenge! For the whole month of June I plan to be active every single day. Nothing seems to motivate me quite like a challenge. If you want to see how I am doing with this challenge, you can follow me on Instagram @peacefulsimplelifeblog. If you want to join in, you can use the hashtag #peacefulsimplefitness. Fitness comes in many forms. I like quiet activities like walking my dog and yoga. I also like doing more intense workouts with some running, biking, strength training, and HIIT workouts. I will be counting any activity that I do in my challenge. I hope to mix it up between quiet activities and more intense workouts. It should be a fun (and challenging!) month. I hope you will follow along and join in!